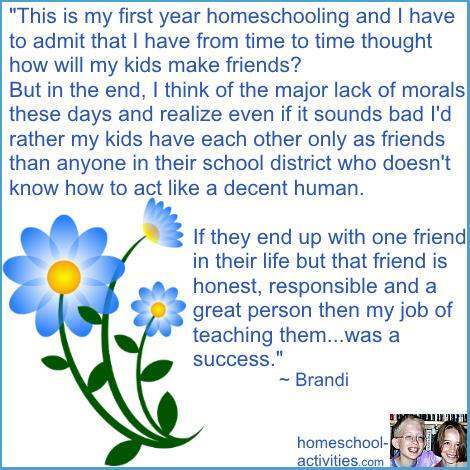 Homeschool socialization is always the thing that people throw at us - but, hang on, what evidence is there that your child would be better socialized at school? That's pretty damning! 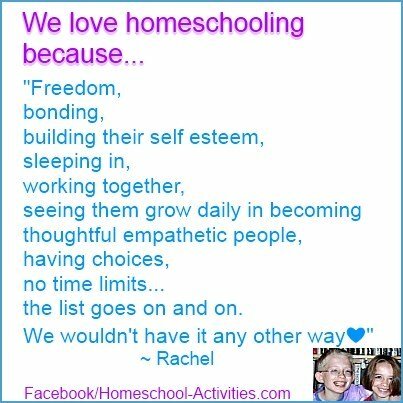 But should we worry about homeschool socialization? Wouldn't your kids really be better off in public school? "The quote from Dr. John Taylor Gatto....it's the reason for homeschooling my child!" Let's see what real life homeschooling families have told me on my Facebook page about their experience of public school. "I'm SICK to death of people questioning my son's socialization! He was picked on every day and they did nothing. The principal even told me that I was exacerbating the situation by letting my son see my emotions.....So when this same knuckle dragging punk grabbed my son's crayons out of his hands and them into the street, while at school, right in front of all to see, I was done. The next day, we were home schoolers!" And you don't have to look too hard to find out the research which shows how many children are being damaged by school. You can see more damning info about public schooling, including a brilliant talk by the international educator Sir Ken Robinson, on my page homeschool versus public schooling. 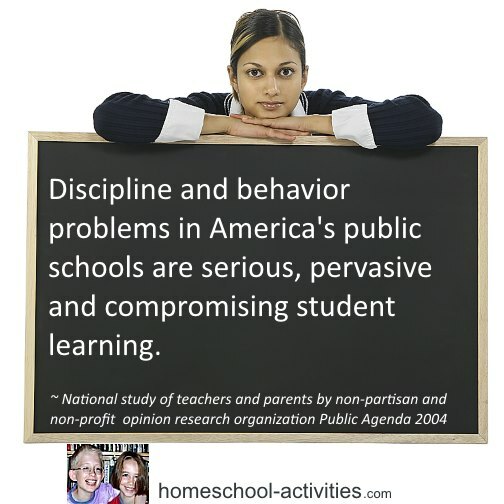 And there's plenty of homeschool research proving the advantage of homeschool socialization, with the problem behavior score for public school children EIGHT TIMES higher than for children taught at home. The elephant in the room is the number of children driven to despair through public school bullying. "My son has constantly been teased and bullied the last few years and the school knew it and dealt with it, but it never stopped. This year he finally had enough and defended himself physically and was suspended. I understand the policy but don't agree. I pulled him next day. Best thing I've done so far. 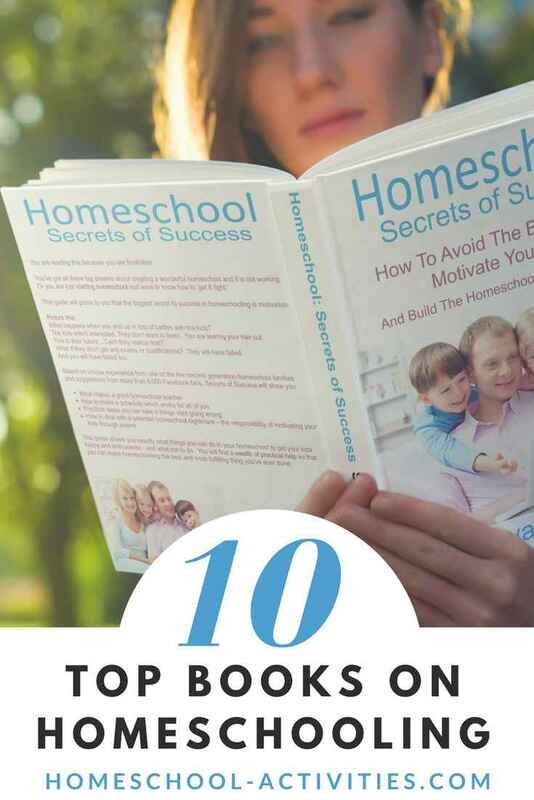 You'll see in my page on homeschool socialization, I believe by teaching your child at home you are giving them a much more positive way of learning the social skills they'll need as an adult. "Cruelty is definitely one of the main reasons we decided to homeschool our kids from day one. Mr. Gatto's quote really sums up a great deal of my PS experience, and my husband's too. I have no regrets. 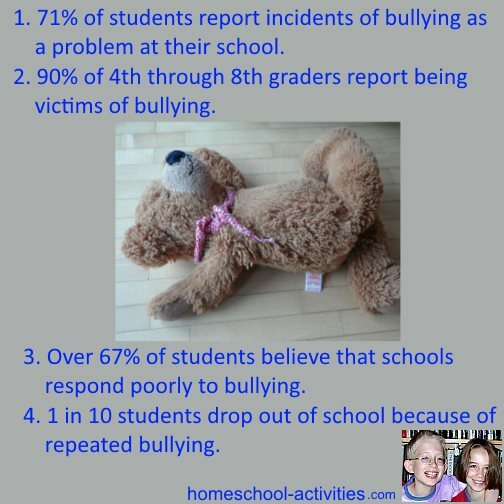 You can find more facts about bullying here, including where the statistics come from. 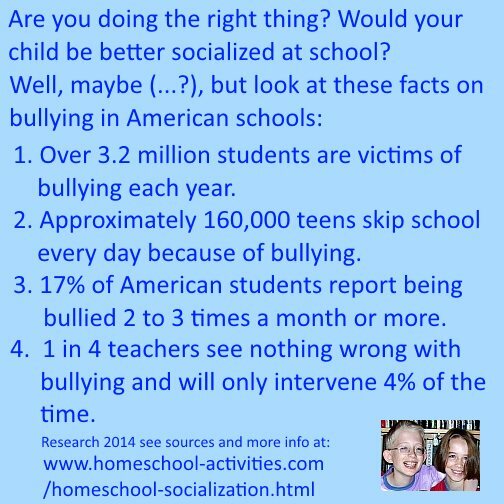 And if you need more information about public schools to make your mind up, have a look at these terrifying facts which will certainly make you think homeschool socialization has an awful lot to offer. Thank you to all my Facebook fans who made this page come alive! Your real life experience of the trauma public school can cause prove why homeschool socialization can make all the difference. Click on the picture to go to the page.